There is a plethora of shooters on Google Play, but none of them come close to a console style game as Modem Combat 3: Fallen Nation does. The third in the Modern Combat series does take up a lot of internal storage on your device — 1.37GB to be exact- but in return you get one of the best games for Android. 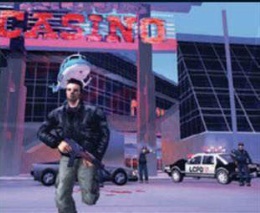 The game utilizes the same techniques as similar franchises Call Of Duty and Battlefield. It takes places over 13 levels and requires a certain amount of skill to complete. Modern Combat 3 is the most realistic game we’ve played. It boasts fantastic graphics, immersive gameplay and brilliant multiplayer options. Building off the success of the original N.O.V.A, its sequel is bigger and better. There are 12 chapters to battle through, each of them lengthy and designed to be totally different. The multiplayer aspects of N.O.V.A 2 are what really make it stand out. Ten players can connect online or locally and battle it out in five different game modes. if you lre looking for a shooter, reminiscent of Mass Effect or other similar sci-fi epics, then N.O.V.A is definitely for you. 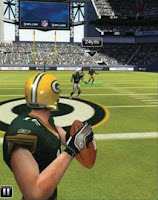 NFL Flick Quarterback puts you in the boots of one of American football’s finest. The gameplay is simple yet still gives a feel of the sport, something not all games achieve. 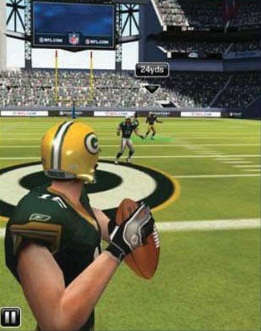 Fans of the Madden series will feel right at home here, despite it being on a smaller screen than its console brothers. GTA III celebrates its ten»year anniversary with this superb port to Android. The game is exactly the same as its console counterpart, but with the inclusion of a series of comprehensive touchscreen controls. Locations are easily recognisable, and despite its size, the game graphically holds up very well. Similar to the famous Ridge Racer series, Asphalt is a long-standing racer putting you in control of the w0r|d’s fastest cars. Despite the fast gameplay, the game manages to stay well clear from any lag. Definitely one of the most engaging racers. Sonic has seen many sequels and remakes over the years, and Sonic 4: Episode 1 is the first to make its way to Google Play. 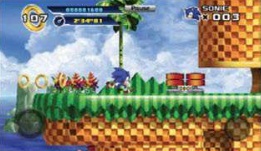 The gameplay is similar to that of 20 years ago, but with remarkably better graphics. Tintin may not necessarily be everyone’s cup of tea, but on the smaller screen, he delivers one of the most solid platforming gaming experiences available for download from the Google Play Store. Those who have played Far Cry will feel right at home with 9mm. A combination of simple controls and great story development make it a hit that has gone unnoticed by a lot of people. A slightly more cartoony version of the classic franchise set in San Francisco. The racing elements are spot on, and the gameplay will keep you coming back to your Android for more and more. Impact Wrestling is the most sophisticated and realistic wrestling simulation. There’s a good selection of wrestlers from the TNA roster, as well as various game modes to power slam through.